It is only for those to employ force who possess strength without judgment; but the well advised will have recourse to other means. It is common opinion among us in regard to beauty and wisdom that there is an honourable and a shameful way of bestowing them. For to offer one’s beauty for money to all comers is called prostitution; but we think it virtuous to become friendly with a lover who is known to be a man of honour. So is it with wisdom. Those who offer it to all comers for money are known as sophists, prostitutors of wisdom. 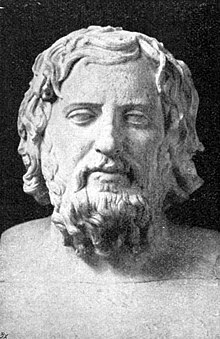 Xenophon (Greek Ξενοφῶν, c. 431 BC – c. 354 BC) was an Athenian author, historian and mercenary, who led the epic retreat of the Ten Thousand from Mesopotamia to the Black Sea coast. He knew Socrates, Cyrus the Younger and Agesilaus II of Sparta, and wrote about all of them. Memorabilia of Socrates Bk. 1, ch. 2, as translated by Sarah Fielding in The Whole Works of Xenophon (1840), p. 523. Hiero, ch. 3, as translated by Richard Graves in The Whole Works of Xenophon (1832) p. 626). The Cavalry General, ch. 6, as translated by Henry Graham Dakyns in The Cavalry General (2004) p. 26. For showing loyalty in the midst of prosperity calls for no particular admiration, but always, if men show themselves steadfast when friends have fallen upon misfortunes, this is remembered for all times. Hellenica Bk. 7, as translated by Rex Warner in A History of My Times (1979) p. 398. Every one of you is the leader. Words spoken by Socrates to Antiphon in Memorabilia, 1.6.11. In this mood he [Proxenus] threw himself into the projects of Cyrus, and in return expected to derive from this essay the reward of a great name, large power, and wide wealth. But for all that he pitched his hopes so high, it was none the less evident that he would refuse to gain any of the ends he set before him wrongfully. Righteously and honourably he would obtain them, if he might, or else forego them. Bk. 2, ch. 6; p. 45. Bk. 3, ch. 2; pp. 88-89. But if any other course, in any one's opinion, be better than this, let him, even though he be a private soldier, boldly give us his sentiments; for the safety, which we all seek, is a general concern. Bk. 3, ch. 2; p. 89. That... is the road to the obedience of compulsion. But there is a shorter way to a nobler goal, the obedience of the will. When the interests of mankind are at stake, they will obey with joy the man whom they believe to be wiser than themselves. You may prove this on all sides: you may see how the sick man will beg the doctor to tell him what he ought to do, how a whole ship’s company will listen to the pilot. Bk. 1, ch. 6; as translated by Henry Graham Dakyns in Cyropaedia (2004) p. 29. Bk. 1, ch. 6; as translated by Henry Graham Dakyns in Cyropaedia (2004) p. 31.